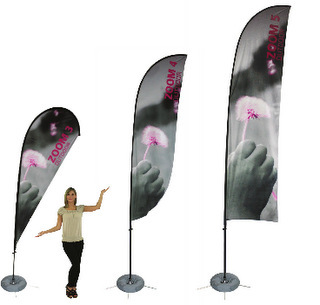 Tips for Making Your Trade Show Booth Shine! Trade shows can have a huge impact on your business’s success. Most organizations realize this, so there is stiff competition for consumers’ dollars. According to one study, 81 percent of the attendees at trade shows have buying power. 67 percent of conference goers represent a new prospect for exhibiting businesses. Your best shot at succeeding at these events is to have a booth that stands out. To help you with this, Citrus Sign Studio has put together these trade show tips for Orlando, FL. 50 percent of the world is active on social media. This means that both before and during the trade show you should be promoting your exhibit on Facebook, Twitter, Instagram, Pinterest, and other networks. You can post a teaser video of what people can expect from your booth before your event. Start using the appropriate hashtags for the convention in your tweets a few weeks ahead of time. And, during the show, you can “live tweet” what is going on at the trade show. Lots of videos and pictures are a must. Attendees learn a lot about your organization by how you represent yourself. You should plan on standing the entire time you are at the event. When people walk by, make eye contact and smile. Keep your phone in your pocket. Make certain you are dressed appropriately. To feel confident when speaking with potential customers, be sure you are knowledgeable of your full line of services and products. All of this holds true for anyone who will be working your booth and representing your enterprise. At a fairly minimal cost, you can gain access to a lot of technology. You can incorporate iPads with product details, monitors that play your product demo videos, laptops with slideshows, and interactive touchscreens. You look professional and cutting edge when you put technology to work for you. When you give away free stuff, people tend to respond really well. Who doesn’t like free swag? The key is to understand your demographic and what sorts of freebies they would want. Gone are the days of pens or magnets. If you give away something of value, your prospects will likely keep it around longer, and this means more brand exposure. 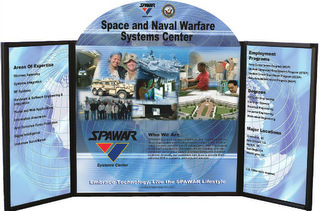 Your marketing materials, including banners, need to have your latest branding and products images. Plus, you must think about the content and design and whether it will be informative and engaging for prospective clients. If your trade show booth is a little faded, it may be time for a new one! Take a long, hard look at your booth. Is your brand represented the way you want it to be? Compared to other exhibits you have seen in your industry, does yours stand out and make a splash? What does it say about your business? 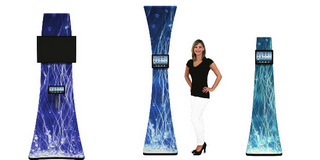 Will your booth attract the attention and eyes of attendees? When you work with the graphic designers and brand specialists at Citrus Sign Studio, we can make trade show displays and graphics for Orlando, FL that will force visitors to stop and listen to what you have to say. If you are ready to really make your booth pop at your upcoming trade show, contact our friendly experts today for a free consultation!